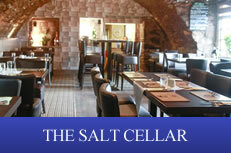 Bridge45 Restaurant is situated above The Salt Cellar Restaurant overlooking the Lossiemouth Eest Beach and is decorated in a classic italian style to compliment the strong italian family background. The restaurant is very cosy and intimate and our friendly staff and relaxed ambience ensures Bridge45 Resturant is the perfect place for a romantic night out or a nice dinner with friends or for a special family occasion. 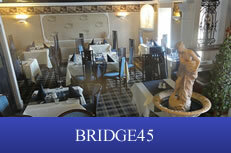 We have various menus available for Bridge45 Restaurant including an A La Carte Menu. 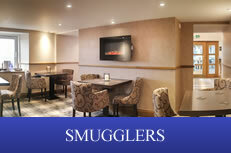 Set Menus, Sunday Lunch menus etc. The restaurant also boasts an area for private parties including small wedding dinners, special occasions including birthday, anniversary and retirement parties as well as christening parties and funeral teas. 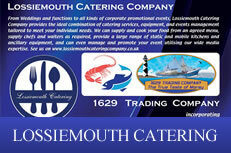 Bridge45 Lossiemouth restaurant is open every evening from 6pm and is available for private parties outwith these hours. 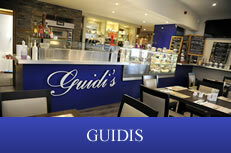 To make a booking please call 01343 813743 or email guidisrestaurant@hotmail.com or complete our booking enquiry form. 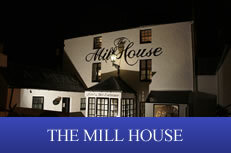 "Fantastic venue staff fantastic food is some of the best I've tried in scotland. Made to feel so welcome by Mr Guidi and all his staff highly recommend sampling this fine dining experience. I for one will not be put off by the 400 mile round trip to come here again."